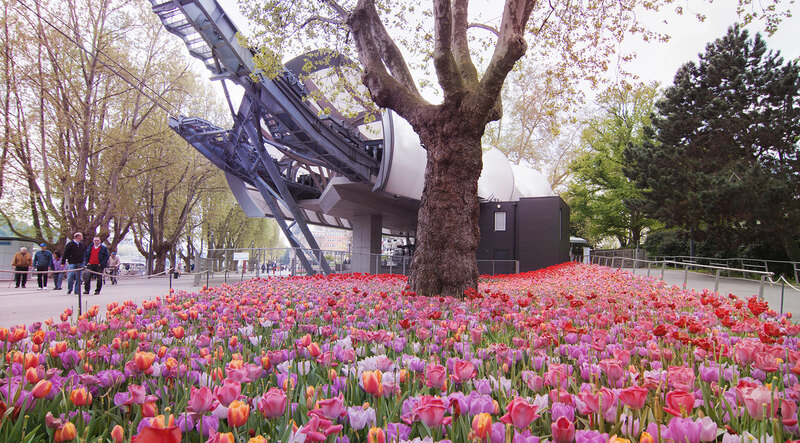 Welcome to Koblenz Cable Car! 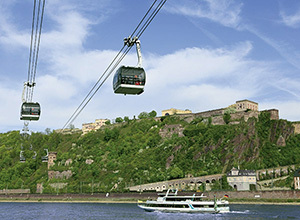 Hover over the Rhine in the Cable Car and discover the Ehrenbreitstein Fortress. 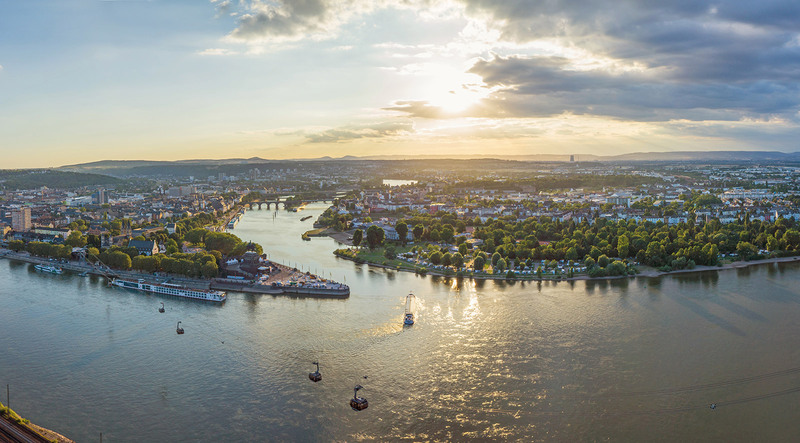 Experience the unique views over a city with a tradition stretching back over 2000 years where the Rhine and Moselle rivers meet. 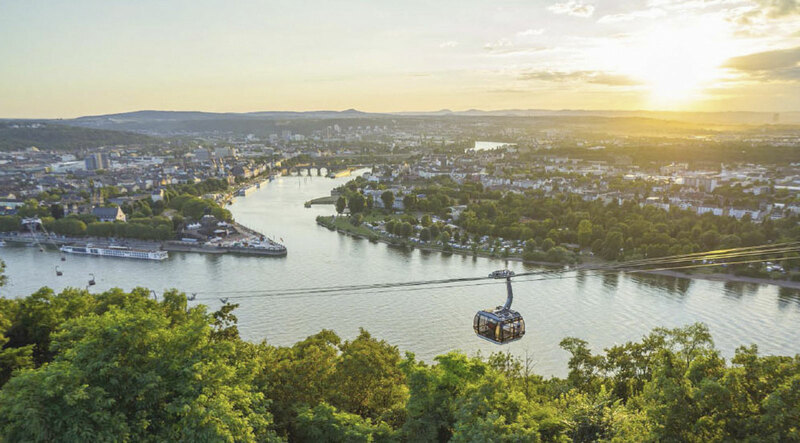 Enjoy the spectacular Cable Car journey and take a stroll through the beautiful fortress grounds to discover the Ehrenbreitstein Fortress with its wonderfull exhibitions and events. 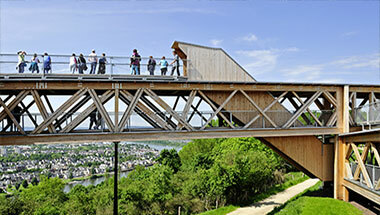 The fortress on the rocky promontory high above the confluence of the Rhine and Moselle radiates a magical attraction. 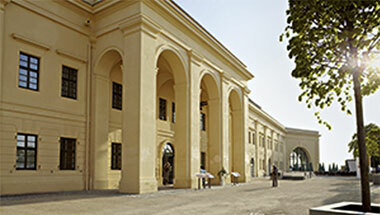 A lively cultural centre awaits visitors with cultural as well as culinary delights. 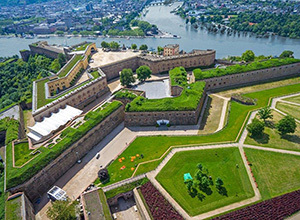 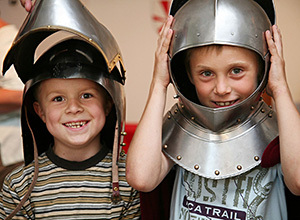 Extensive grounds, the historic fortress and a breath-taking panorama await you. 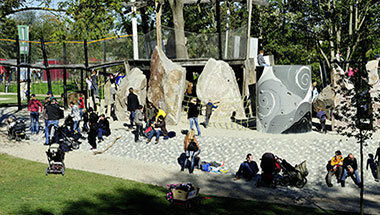 A large, activity-oriented climbing playground for older children and young people has been created on the area surrounding the former Fort Bleidenberg. 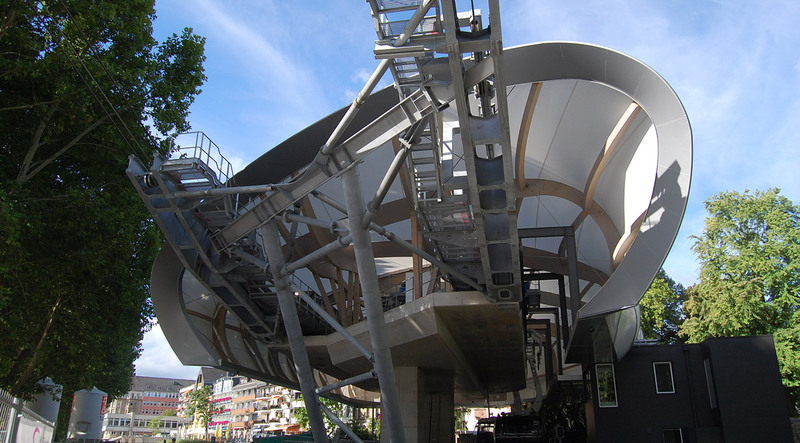 Imaginative landscapes for playing and climbing activities featuring timber, rope and rock have been carefully integrated into the side. 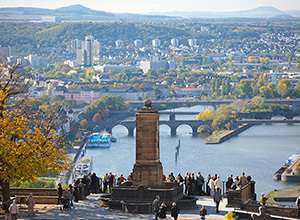 From this vantage point in the fortress grounds you can enjoy the unique panorama of the Deutsches Eck headland, where Rhine and Moselle join. 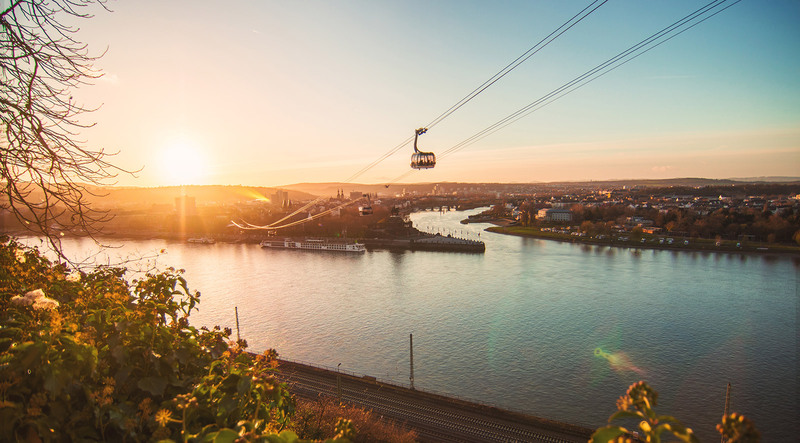 Experience the only city located on both Rhine and Moselle from a completely new perspective as you take in the breathtaking view from the wooden platform high above Koblenz.